This PDF 1.5 document has been generated by Microsoft® Publisher 2010, and has been sent on pdf-archive.com on 05/07/2012 at 17:54, from IP address 70.184.x.x. The current document download page has been viewed 1025 times. File size: 7.9 MB (16 pages). Our support group meets every third Thursday of the month at the Patrick Hardesty police substation. The Hardesty building is located at 1100 S.
Alvernon Way ( 22nd / Alvernon) and the group meets from 7-9 pm. If you have lost a loved one to murder, then please come join our group. the murder. We have parents, siblings, cousins, and friends of murder victims who attend our meetings and anyone touched by murder is welcome to attend. We Want Your Email Address!!!! monthly that will only be available online. Drop us a line with you’re email address. Please note that HSI staff emails have changed! on maternity and has been a very valuable asset. way down this difficult path. Find your Members of Congress here! Click here for update on replacement. unusual. Prior to the scheduled arraignment, his appointed Public Defender requested a competency evaluation. crime, including murder again, without any legal consequences. inadequate in this type of a situation. your thoughts to your legislators next year so that we are successful in having this unbelievable law changed. found out where her body was hidden. She just vanished. many questions arise and even the validation of death is difficult to accept. aspects of life. That was all gone; no more would we sit on the porch and talk about the future because there was no future. said it may never end but it really didn’t matter if she was found. I was so perplexed at this dream and it was almost haunting. me the feeling of “Here she is.”; and I then woke up. confused as to why we were leaving her behind at the party. Mom told me to go say bye to her, so I went back in the house. each other again someday and I needed to live my life and be happy. Veronica became the ropes that kept me from falling off the face of the mountain. radio pops on when you were thinking of them. losing her, but it takes out some of the sting. difficult times and mine has been knowing that she can hear me and that we will see each other again someday. él había escondido a su cuerpo. Simplemente, ella desapareció de nuestras vidas. preguntas y hasta la muerte de la persona es difícil a aceptar. la vida. Ya no mas íbamos a sentarnos en el porche para platicar sobre el futuro porque ella ya no tenía un futuro. dejo confundido y de una manera poseído. qué yo tenía que ir por ella. Me dijo mi mama que no, que ella tenía que quedarse. Me sentía confundido. ¿Porque la íbamos a dejar? otros la iba a cuidar. Me aseguró que íbamos a vernos otra vez un día y que yo tenía que vivir mi vida y estar feliz. sueños de Verónica se convirtieron en las cuerdas que me salvaron. como una persona inestable mentalmente por seguir creencias como estas, pero me dieron confort por la primera vez en muchos años. forma de una mariposa que vuela cerca o una canción favorita de ellos que de repente se oye en la radio al momento de recordarlos. haberla perdido, pero lo siento menos agudo. día me ha dado la fortaleza de seguir. screaming down the street for help. He turned a corner and tried to escape his attacker. then robbed him of his belongings. He walked away and left Philip to die in the street. Philip was found and rushed to the hospital where he lost his battle to survive. while in prison including sexual abuse which is ironic because of the crime he committed. what could drive someone to hate in such a brutal manner. caminar a cualquier lado, pronto él iba a perder a su vida por el odio. camioneta. Ellos comenzaron a platicar con el. el bate. Temiendo por su vida, Philip comenzó a correr por la calle, gritando por auxilio. le dejó a Philip en la calle, casi muerto. Alguien llamó al rescate lo llevaron al hospital. homicidio, dos bates de beisbol, ropa llena de sangre de Philip, mariguana y cocaína. homicidio con otros prisioneros. El confesó en cartas que había cometido el homicidio. causa.” Él se rapó a su pelo para el juicio, como muchos miembros de este grupo racista. culpable de homicidio en primer grado y fue sentenciado a cadena a perpetuidad. sido juzgado culpable de abuso sexual. persona expresar a su odio de Phillip tan brutalmente? There is no single word I can say, to make things better, but believe it not or believe it, we are in this together. This, being the sadness, anger, pain and grief, with maximum heart ache, and minimum relief. Siblings in sorrow, questions and fears, pain, anger and heartbroken tears. Yet over the years, some of those feelings may subside, some days are okay, some we’d rather clam up and cry. It’s certainly a rough ride, as I’m sure you all know, at times it can be frightening, allowing our feelings to show. Message to our loved ones: Taken from us to early what can we do, but live every day in honor of you! seres queridos, nos unimos como hermanos/hermanas. Aún por los años los sentimientos normalizan, unos días están bien, otros preferíamos callarnos y llorar. Indudablemente es un viaje duro, como todos se saben, a veces nos da mucho miedo, dando luz al día nuestros sentimientos. habíamos perdido a esa persona tan especial está tan claro como un cristal. No importa cuantos años han pasado desde los abrazamos, una cosa es cierto: ellos permanecerán en nuestros corazones hasta el final! your arrival tomorrow. P.S. Sure is hot down here. days with the same result. On Thursday the duck sits at the bar again. Two rabbits were being chased by a pack of wolves. The wolves chased the rabbits into a thicket. “This project is supported by grant #2007-915 from the U.S. Dept. 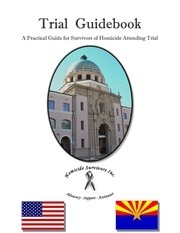 of Justice Office for Victims of Crime through the Arizona Dept. of Public Safety. Help Homicide Survivors go green and save green: get your next newsletter by email! by getting future newsletters by email, please complete and fax, mail, or email the information. This file has been shared by a user of PDF Archive. Document ID: 00041528.